Wilkesboro NC is located in Wilkes County in the western corner of North Carolina at the south bank of the Yadkin River. Wilkesboro NC is a family oriented community with a true sense of Southern hospitality. 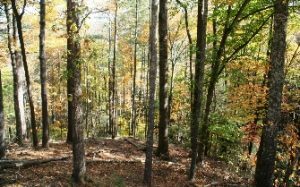 Wilkesboro has a very moderate climate that allows for a pleasurable distinction between all four seasons. This area offers great entertainment, with everything from cultural arts and festivals to outdoor activities in Stone Mountain Park. The economy of Wilkesboro NC has well defined goals to recruit and attract new businesses and industry to the town and county. Wilkesboro NC has the second largest industrial park in North Carolina. A Tyson poultry farm is also located here, which is the largest poultry farm east of the Mississippi. Wilkesboro NC is also rich in furniture and textile industries. The Wilkes Regional Medical Center is located in North Wilkesboro just minutes away from Wilkesboro NC. This medical center strives to provide high quality care while remaining cost effective for patients. Wilkes County Schools consistently rank near the top academically within the state’s school systems. There are 16 elementary schools, 4 high schools, and 1 middle school, and all are accredited by the Southern Association of Colleges and Schools. Wilkesboro NC is home to Merle Fest, a music festival honoring legendary guitarist Doc Watson that has become the largest bluegrass and folk music festival in the country, attracting over 85,000 music fans annually. There are several other cultural festivals, including the Brushy Mountain Apple Festival, one of the largest one day arts and crafts festivals in the Southeast, bringing in over 160,000 people. Wilkesboro NC is home to many local vineyards that provide daily tasting and wine tours. The Kerr Scott Dam and Reservoir is a popular outdoor haven for boating, water skiing, and fishing. 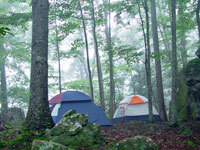 The Stone Mountain State Park is home to many trout streams, camping sites, hiking, and rock climbing. This area is a retreat for outdoor enthusiasts. Wilkesboro NC also offers walking tours that take visitors to different historical sites that portray the feel of small-town 18th and 19th century Wilkesboro.